Discussion in 'Transformers 3rd Party Discussion' started by godotislate, Jul 14, 2018.
i think they look great... except for star sabre. he looks like a plain jane while the others looked suped up. They're the same size, because otherwise they'd be making two different sets of molds for the same shaped parts at different sizes, which is setting money on fire. 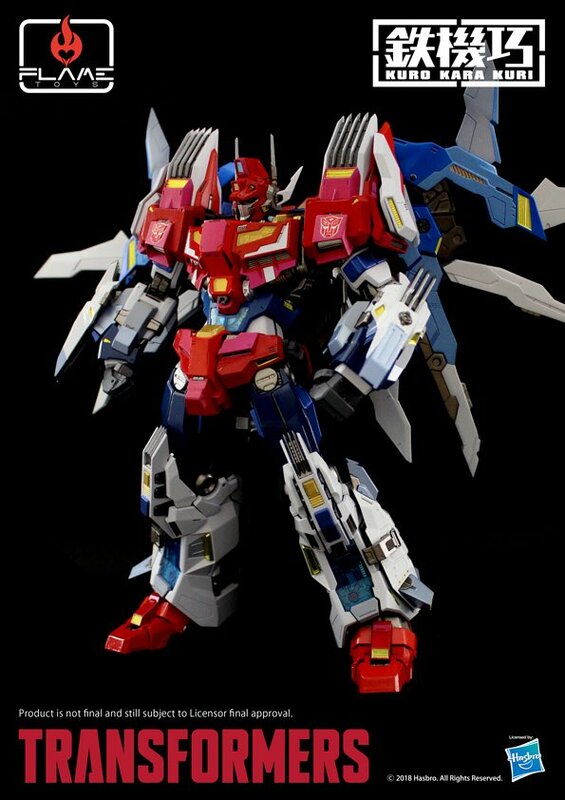 I have reservations about MMC making a Star Saber. 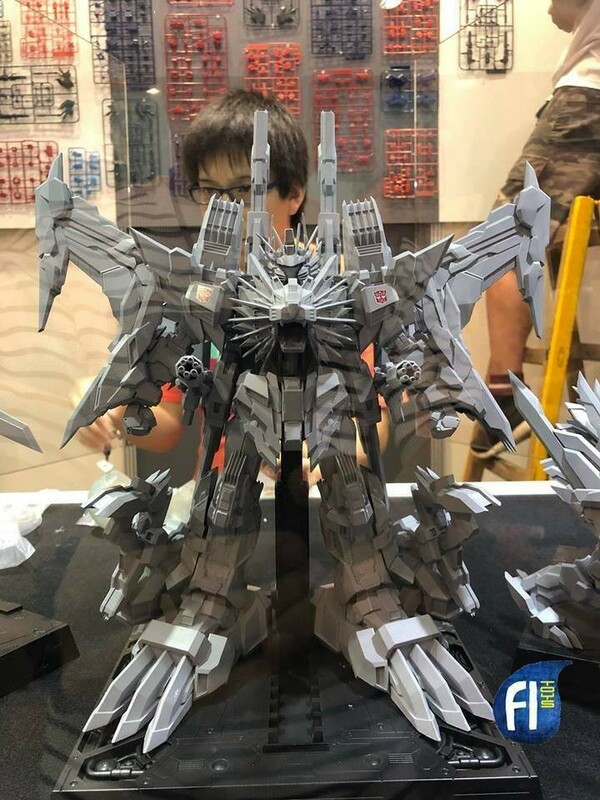 I think IDW Star Saber's design is really busy, and MMC's products have tended to be even busier (which is usually not a problem for me), so I think it could use a little cleaning up (not so far as the MP toy) if they were to produce one. I just thought that maybe this could scale well with Flame Toys Star Saber. perhaps, do we have a size on that? your mention of it was the first time i had heard of it, it looks boss but may not fit aesthetically. or maybe it will, although SS looks like hes trying to doggy something. the leo add-ons are a bit much imo. The Planet X Star Saber, barring any major QC issues, will do it for me. I have Asclepius and Vulcun and nearly went for Ismenios over Z-Def just based on quality of PX. Also, seems more like MMC is gonna stay away from SS in favor of Dai-Z. Continuum means G1-esque or Toy-esque look. Thank you, I guess it is like that, just Hexatron make it confusing for me. Will be there some PSX exclusive? I was a little fence a little about this after reading 10 inches in height... I really want Continuum to scale with MP-24 but those two inches are starting to sink in. Maybe some boots add-ons would help lol. I guess I could wait for XTB / KFC but they haven't shown anything yet. Though in the show, I can't really remember the two "standing" in battle, just floating and fighting in space (no ground). However most of the time Star Saber was booted up with Victory Leo so now I have a 4.5 inch difference? How can I not get this though... MMC quality on a MP Deathsaurus. Maybe KFC will do us right too? KFC does chicken right as well. In this comparison pic, the detail / mold differences between the two are significant. I'm hoping there is some MMC magic in there to make Continuum just one more inch taller ; closer to MP-24. Really like the looks of the Continuum version. Glad they’re making one that looks more like the cartoon. 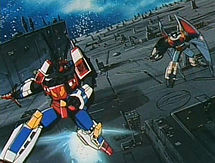 Yeah, I thought Deathsaurus in cartoons should be same size as Star Saber. Eh, I find their sizes to be pretty good. I always thought of Deszaras as being a tad smaller than Star Saber. And from what I can tell, this will be pretty good for me. And now I am getting little confused and hope this is not fully offtopic. I prefer IDW look, so not-Continuum version is right for me. To fit with Carnifex, Kultur, Cynicus and Anarchus. And my issue is Hexatron. I thought the Continuum version is IDW, because of shape of head is in Spotlight. But I always not so sure about Hexatron and if he is really part of IDW. I do not remember him in MtMtE. So could someone tell me what is about Hexatron? This is the only appearance I recall in mtmte. That reminds me! They totally wasted Sixshot in IDW! Furman gave him that short but okay bit with those intergalactic peace-keepers and then he served to make Starscream look AWESOME! Gotta make SS look awesome! That's very important when writing a Transformers story. After that, he fought the Throttlebots in one spotlight and then nobody cared to write anything about him anymore. I expected him to be picked up again after a while but it never happened. Roberts brought old Scorponok back for a minute so he could make his OC look AWESOME! But nobody bothered with Sixshot. And, alas, I don’t foresee an MP24V undersized knockoff like with Primpram’s MP10V, as well as an undersized KFC Simba. 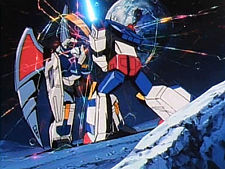 However, I would still be SHOCKED if MMC doesn’t have their own Star Saber and Victory Leo in the works. And, I’m willing to trust they can make good on a relatively busy design, given the above. Or, some hybridized/inspired design that mixes G1, IDW and some novel ideas to make it all work. Though... I still think a V-Star that’s a Wyvern with Saber is a Dagger in his mouth, like Sif the Great Grey Wolf, would be amazing. Thus, let us pray for Zukan’s T-Beasts Volume 3! Still, Spotlight: Sixshot & Metrpolex are pretty cool, and I believe Sixshot was around a bit in Phase 1, but I’ve only read some Wreckers, Dinobots and Drift stuff besides some Spotlights from IDW Phase 1. Moreover, I like Livio Ramondelli’s art, and he’s been on the Dinobots and Tryps detail for quite a bit, so OP #13 & 14 were a treat. I almost want those two issues as their own mini volume so sit next to the Autocracy Trilogy and Redemption of the Dinobots, but it’s not that big of a deal. At the very least, Sixshot still got more play than Black Shadow, or Blue Bacchus!